Considering Cameron Diaz is one of the highest paid actresses out there, we’re not surprised that she decided to infuse her West Village apartment, now on the market for $4.25 million, with a healthy dose of Hollywood glamour. The Wall Street Journal, who broke the news that Diaz’s West 12th Street residence will be hitting the market any day now, calls the pad “colorful.” That seems to only hold true in the emerald green kitchen, but the rest of the home is full of gilding and luxe finishes. 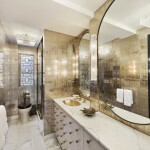 The actress bought the two-bedroom apartment in 2008 for $2.95 million, followed by a gut renovation courtesy of famed California-based designer Kelly Wearstler. Two years ago, she also bought a $9.5 million home in the Walker Tower. This, coupled with her recent marriage to musician Benji Madden, are likely the reason for the sale. The living room has custom rose-colored wall paper, a textured ceiling treatment, a wood-burning fireplace, and a full-wall window seat with storage. The 1,400-square-foot apartment has “furniture from different time periods,” which isn’t included in the asking price, but could be sold with the home if a buyer is willing to pay. The home is also full of vintage light fixtures and mirrors, the latter placed strategically to accentuate the bright light that pours through the south-facing windows. The luxe kitchen boasts brass countertops/backsplashes and hardware. The built-in window seat carries over to the bedroom, where Diaz also has a gigantic dressing room. 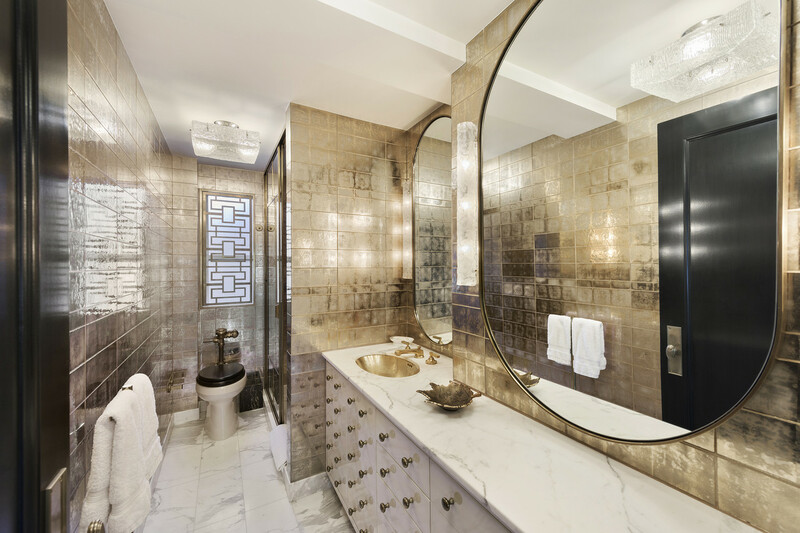 The master bath is clad in a gorgeous gold wall treatment, and the counter provides loads of storage. 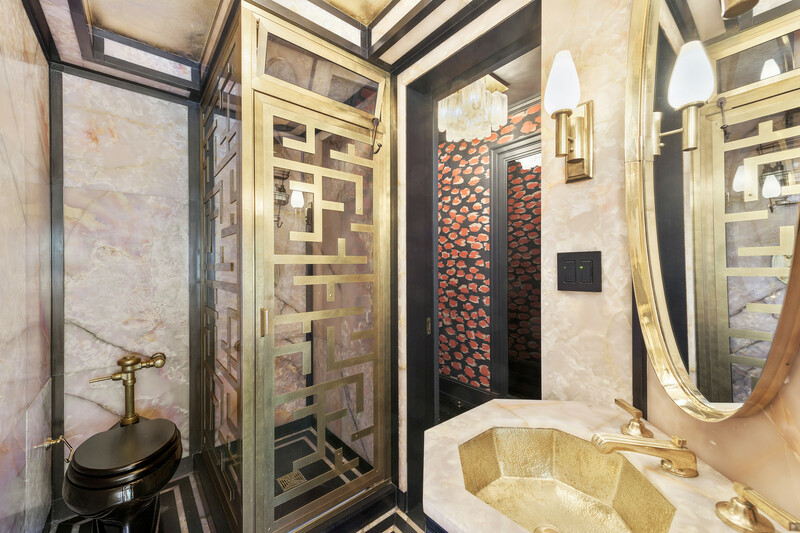 The guest bathroom might just be the most spectacular room in the apartment with its wealth of black marble and pink onyx. The apartment, which was featured in Elle Decor in 2013, has yet to be publicly listed, but listing agent Rebecca Edwardson of Warburg Realty shared the news with the Journal.